Happy Labor Day, y’all! I may be enjoying my day off from work, but that doesn’t mean I can neglect the Zelda Informer Caption Contest. 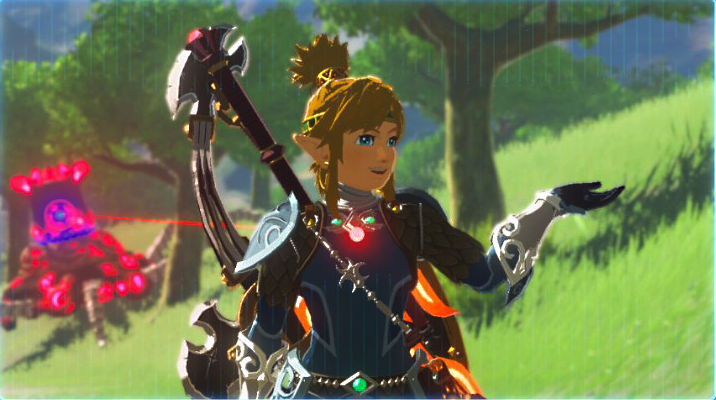 Link was noticeably surprised during last week’s contest, so we’ll let him be more jovial this time around. But even with a smile on his face, surprise might actually be the correct response to this week’s image as well. Something left our hero dumbfounded. Jebradiah Drake: Nintendo: And with the recent success of Breath of the Wild we’ll be making permanent changes to the future formula of Zelda games. Because we know how much you all loved durability! Dylan: Link: so that’s what an zombie ice dragon looks like! wow!! !